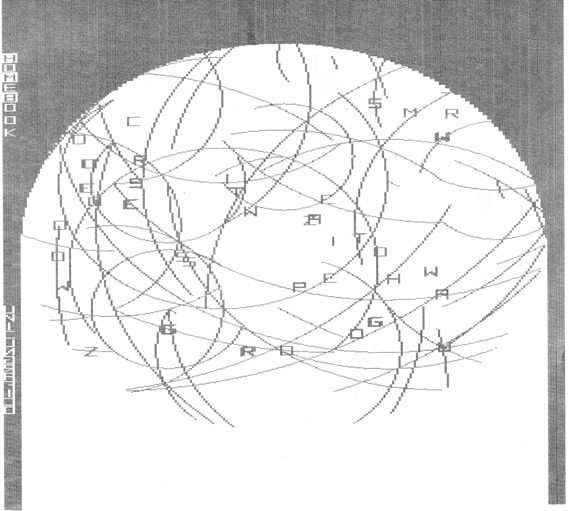 Pietro Grossi was one of the first Italian computer music pioneer, experimenting music with thé new médium starting from the Sixties. Pietro Grossi isn’t a popular personality, although he can be considered a pioneer of computer music, and certainly he has been for the Italian music. 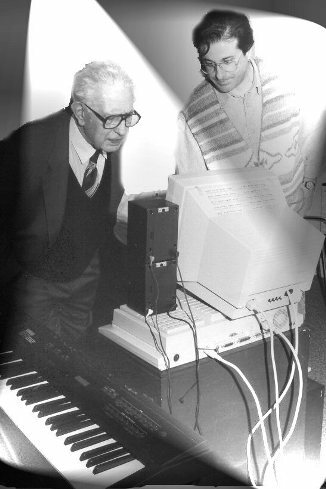 Pietro Grossi became interested to computer music since the early Sixties, while the first experiments were realized in 1967. 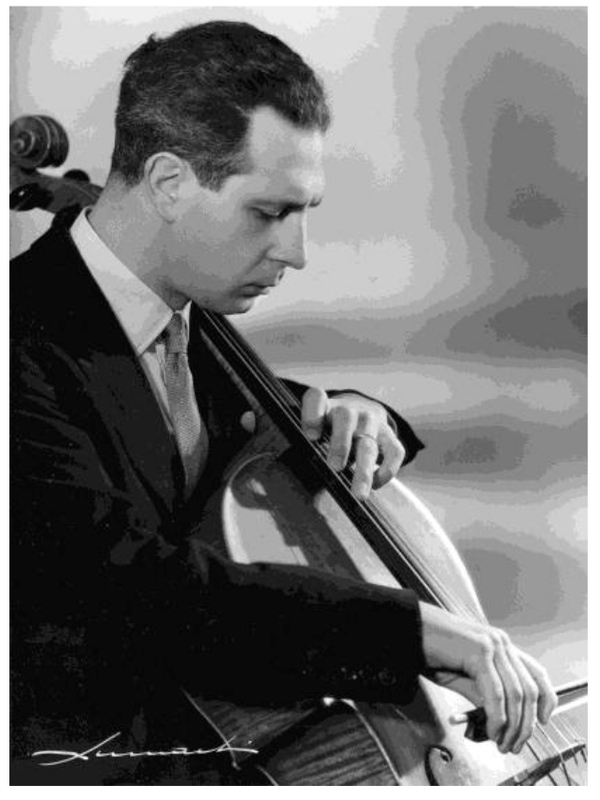 However, before discovering the new electronic instrument, Grossi was an appreciated cellist, graduated in Cello and Composition at Conservatorio di Bologna, Italy. Pietro Grossi and his early instrument. Pietro Grossi realized an experimental music activity very interesting, for this I was very impressed to understand how little know is Grossi, all over the world but in Italy, also. 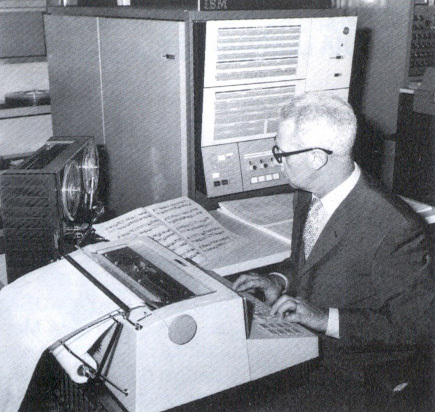 So, it is very difficult find web resources for this pioneering man, like another computer music pioneer: the French composer Pierre Barbaud. 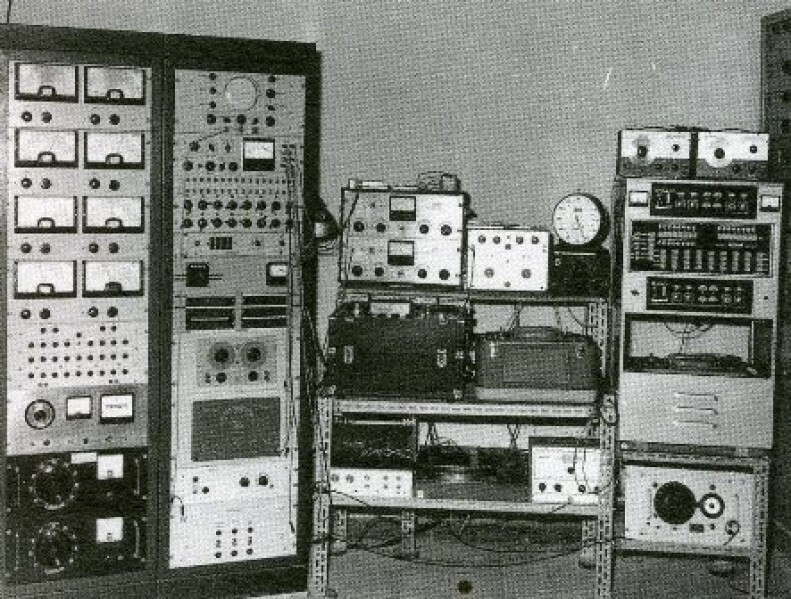 The picture below shows Pietro Grossi near many electronic devices, but I don’t know where is it, and what type of instruments are. I hope somebody can tell us something more, leaving a comment to this post. 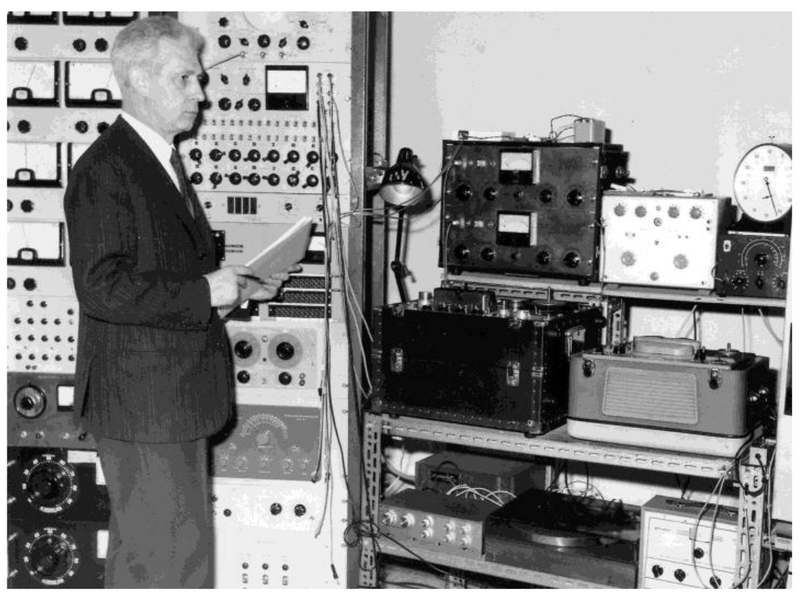 Pietro Grossi near some electronic instruments. The following picture seem to be shooted in the same instant, so remains a mystery the place, and the all devices. Another picture of the same place and the same electronic devices. The next is a very little picture (it’s very difficult find a more large photo) but we know that they are two old computer, named TAU and TAU2. 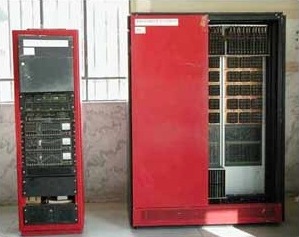 The TAU and TAU2 computers. Although it was not very well-known to the general public, Pietro Grossi was appreciated so much among those engaged in computer music over the years, as composers or in any other way. 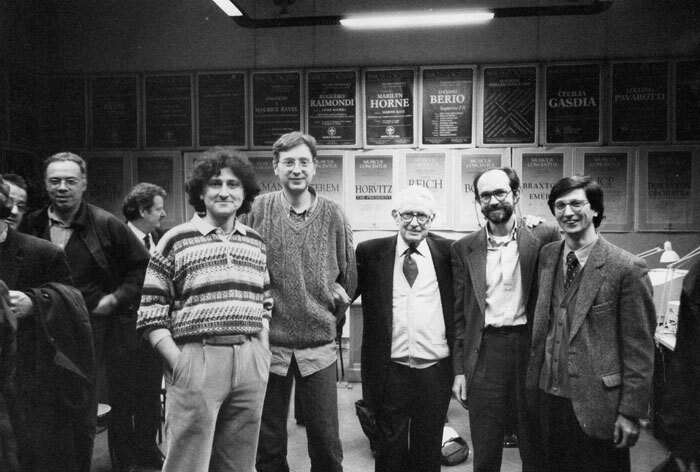 The picture below shows the Italian composer among others italian composers as (from left) Agostino Di Scipio, Marco Ligabue, Francesco Giomi, Pietro Grossi, Roberto Doati and Lelio Camilleri. Pietro Grossi and, probably, the musicologist and composer of the Stormy Six, Franco Fabbri. 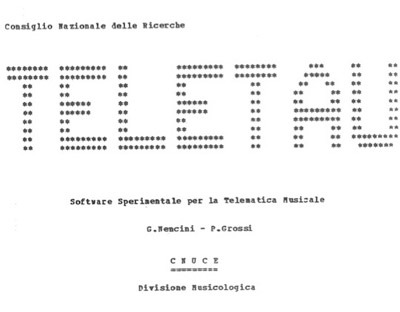 The next picture shows the cover of Teletau handbook, a software package for computer music, developed and installed at CNR, Pisa, but usable by others computers trough a network connection, an important goal of the Italian research in the Eighties. The cover of Teletau handbook. Pietro Grossi at CNUCE, Pisa, 1965. The story of Pietro Grossi was interested by another step. 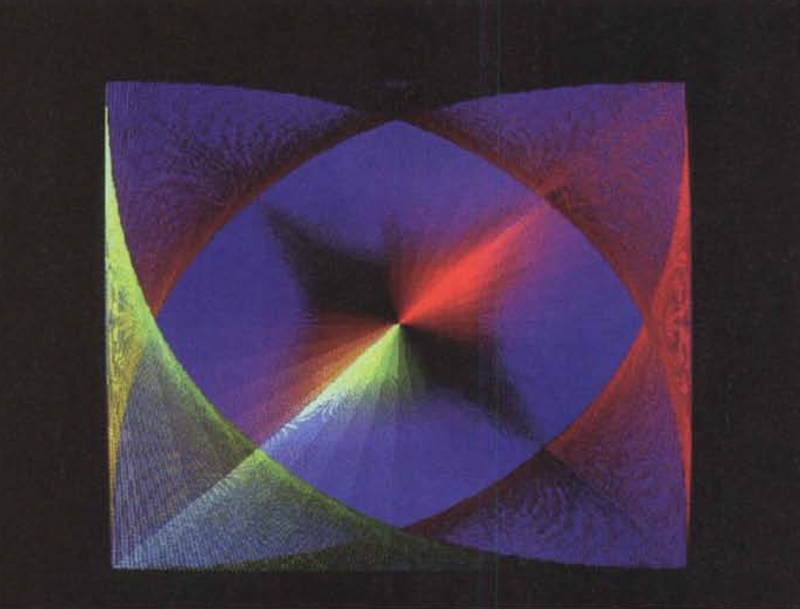 In the mid-Eighties the italian composer began to experimenting the computer graphic, establishing a new concept of Homeart: art created by itself, for itself. Many works were realized and presented across the Italian peninsula. A work of computer graphic realized for the Homeart project. In the Nineties, Pietro Grossi was attracted by a new project: the Homebook, a one circulation custom art publications. Books were dot matrix printed. The project was showed at Museo Pecci in Prato, near Florence. In 1997 Pietro Grossi was again engaged in a computer graphic project, the netOper@, the first italian network collaborative project. During this work, Pietro Grossi know Sergio Maltagliati with which working for another network project. 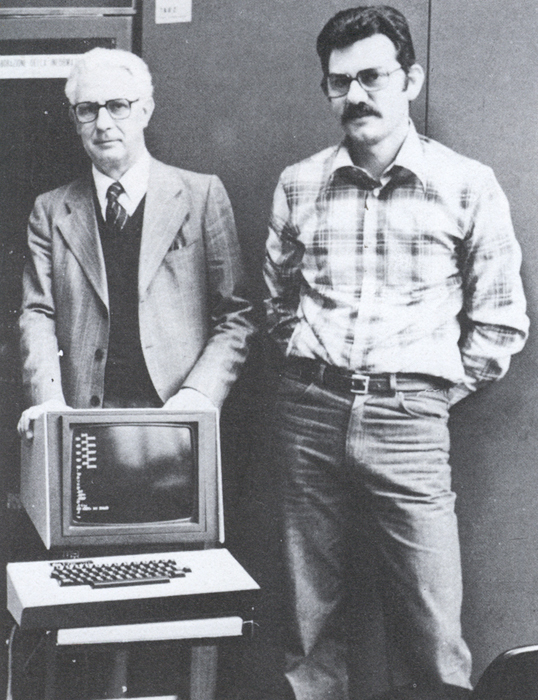 Pietro Grossi should have working with Maltagliati for a new project, based on GSM networks, but he died in 2002 in Florence where he does most of his history of computer music pioneer.